Saw my brother with a needle? student loans and lawyer fees. I'm pretty sure he gets drug tested every week/every other week still. Yesterday I saw a needle sticking out of his pocket. He didn't know I saw it, even when I did a double take to make sure. I noticed him tucked it away and turned around. but I'm scared to call and talk to someone. Please, any advice, is greatly appreciated. Comments for Saw my brother with a needle? Don't confront, ask and listen and take appropriate action. You are in a VERY difficult spot. You obviously love our brother and your mother but have been through a lot and are having trouble trusting your brother. Because addiction is characterized by relapse, you have every reason to be EXTREMELY concerned about your brother. 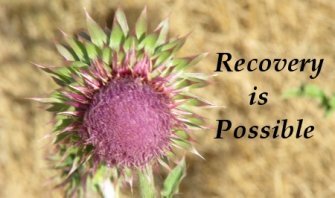 Relapse is a VERY common problem with addiction. Seeing your brother carrying a needle is certainly a huge red flag and MUST be investigated. I think you need to discuss this with your mother and decide the best course of action. Confrontation is often not helpful, but calm discussion can be useful. You and your mother should sit down with your brother and express your concerns. He will probably say he had it for a friend and that it wasn't his. He also will likely say that you're over reacting. Please believe me, you are not over reacting! He is a drug addict and any drug use will trigger a complete relapse. I would require him to go to your doctor and to submit to a hair follicle test, which will let you know whether of not he has used in the last three months. If he has relapsed, you must have him go into treatment ASAP. You and your mother should also begin attending Al-anon meetings weekly. Start working the steps and find a sponsor who has helped a brother/son end their addiction. They will help you to find the resources you need to get through this difficult and critical time. I certainly think that you and your mother MUST take action now! Because if he is having a relapse, the sooner you can get him back on track the better.